Volunteers planting tussock grass at the Leleshwa Reserve. Photo © Phoebe Munyoro. 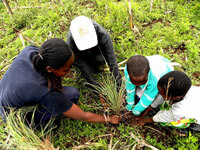 In a bid to save some of Kenya’s last surviving tussock grasslands, the World Land Trust (WLT) helped fund a three day replanting event. Nature Kenya (WLT partner) organised the reseeding of the grasslands in the Leleshwa Reserve, with 33 young volunteers from the local Youth Committee and 14 members of the Friends of the Kinangop Plateau, who are all committed to conserving their natural grassland environment. The Sharpe’s Longclaw (Endangered on IUCN Red List) is one of the many bird species that were spotted during the replanting event, along with the Jackson’s Widowbird. During the breeding season, male Jackson’s Widowbirds develop glossy black plumage and a bright blue-grey bill. They also grow a beautiful down-curled tail, about 20 centimetres long, and a glossy black collar. He uses his new, showy plumage in a bizarre and elaborate jumping display to attract females. Birds were not the only animals seen during the volunteer event. 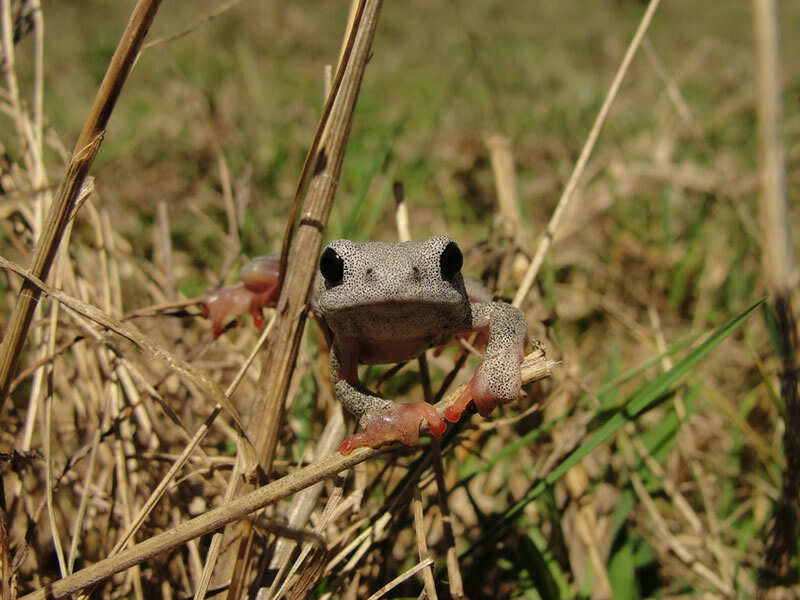 This Variable Reed Frog was spotted amongst the grasses. Photo © Martha Nzisa. 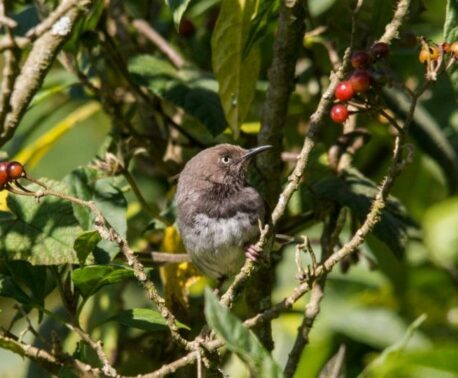 The Leleshwa Reserve was created in 2009 with support from WLT. 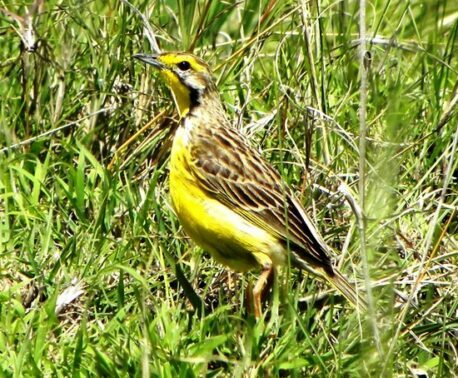 It is protecting a crucial habitat for the Endangered Sharpe’s Longclaw, as well as many other well-known European migratory birds. To support on-the-ground conservation work in the Leleshwa Reserve and help save more threatened habitat in Kenya, visit the Kenyan Grasslands appeal page.